Turning left out of the Marina you head towards Bradford on Avon. There are useful shops west of Bridge 188. The six locks take the canal down through Bath , locks 8/9 were combined to make one deep lock with a fall of over 19 ft, making it one of the deepest locks on the Waterways. All the locks are accompanied by weirs, so boaters should take care turning into the lock cuts and avoid the weir channels. Most of the bridges over the canal are also listed buildings. The canal joins the River Avon immediately below Bottom Lock 7. The junction (and moorings to the north) are the best point to access Bath. When mooring on the river allow enough slack in the mooring ropes , and in locks hold the boat by the ropes as well as there is a strong flow of current in these large locks. The River Avon is usually only tidal to Hanham which you will not reach on this trip. There are also good moorings east of Churchill Road bridges , near a supermarket. There is a lot of new development going on here , with new flats being built with fine river views. 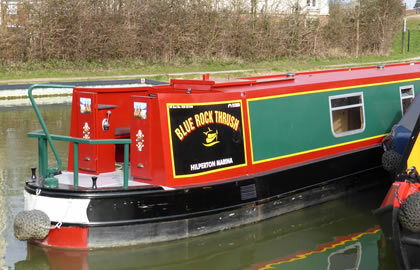 Weston Lock is on the outskirts of Bath, the Locksbrook Inn is a fine Canalside gastro pub just before the lock. The Boathouse Pub is just west of New Bridge, another large gastro pub. The canal now enters open countryside passing Kelston park to the right. 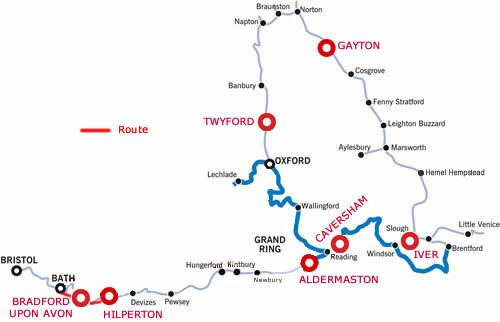 Saltford is soon reached , Best access for visiting the town is by Kelston Lock where mooring is possible. The Riverside Inn is Canalside and the Jolly sailor by Saltford lock. You can get supplies in the town. It is just under 6 hours to here from the Avoncliff Aqueduct.